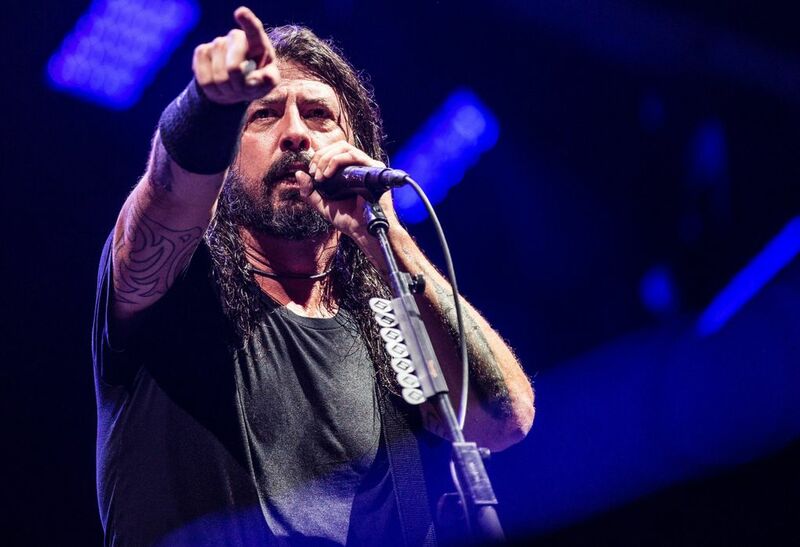 Dave Grohl and Krist Novoselic, Nirvana's two surviving members, rocked the same stadium again Saturday night in Seattle, as their bands played Safeco Field. Cellphones shot out of pockets faster than wallets in the lengthy merch lines. 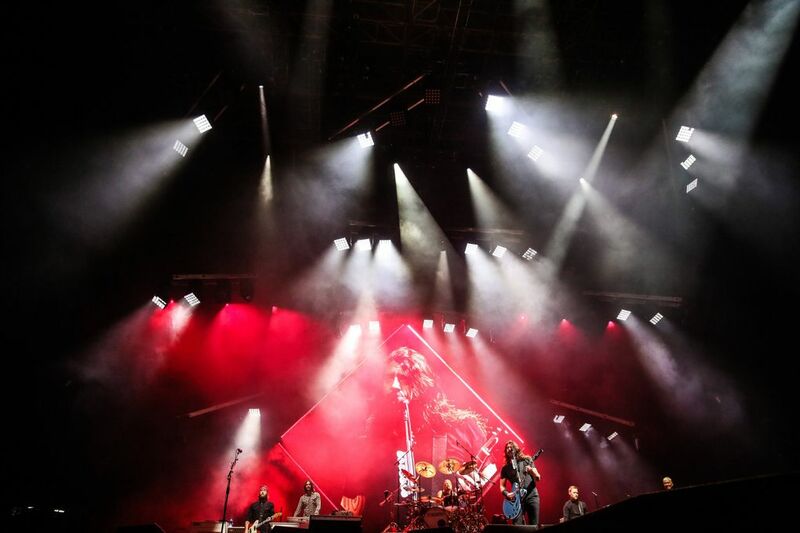 Tens of thousands of rock fans had already been screaming their guts out to Foo Fighters’ stadium-ready anthems for an hour plus, but the moment they’d been waiting for had arrived. 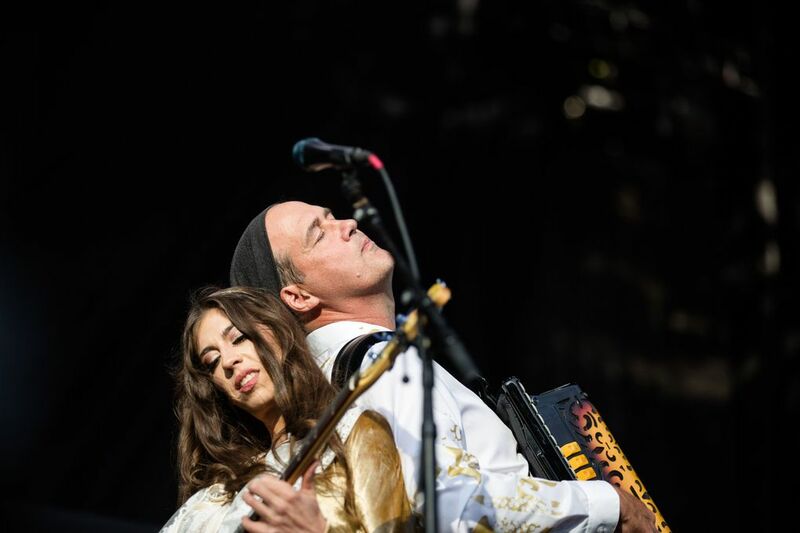 When it was announced in June that Giants in the Trees — the bewitched new psych-tinged roots rock band featuring Nirvana bassist Krist Novoselic — would open for Dave Grohl and the Foos during their Safeco Field show Saturday, it seemed certain that Nirvana’s two surviving members would take the stage together at some point. 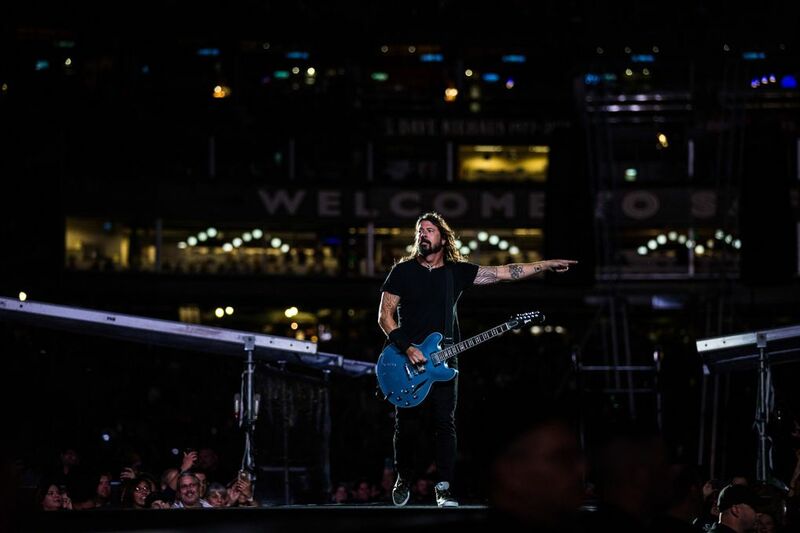 Roughly halfway through Foo Fighters’ roar-to-the-floor stadium bash, Grohl broke from a protracted round of band member introductions to bring his “old friend” to the stage. 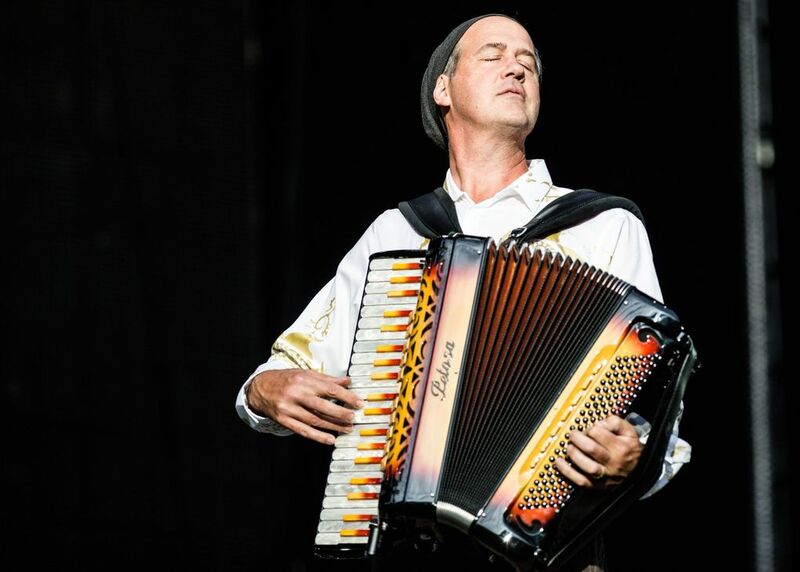 “You haven’t aged a day,” quipped Grohl, rock’s reigning goofball, as the unassuming Novoselic quietly walked on stage with a still-handed wave. 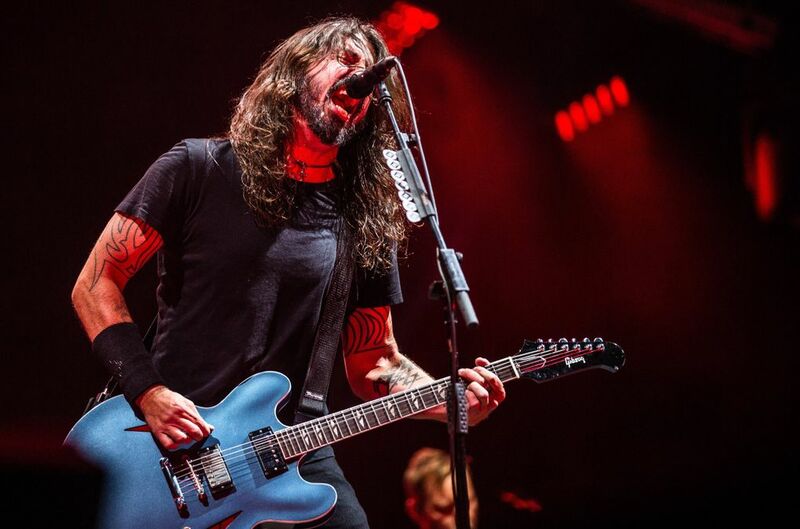 With that, Foo Fighters — which also includes former Nirvana touring member Pat Smear — blasted through a spunky rendition of “Molly’s Lips,” the Vaselines cover made more famous when Nirvana’s version landed on the grunge heroes’ “Incesticide” rarities compilation. The floor was aglow with cellphones capturing the mini Nirvana reunion as Novoselic, a literal (at 6’7″ or so) and figurative rock giant, leaned back striking his classic wide-stance pose, hammering his bass while Grohl’s vocals made their pop-punked version sound a tad more bubblegummy than when Kurt Cobain sang it nearly 30 years ago. 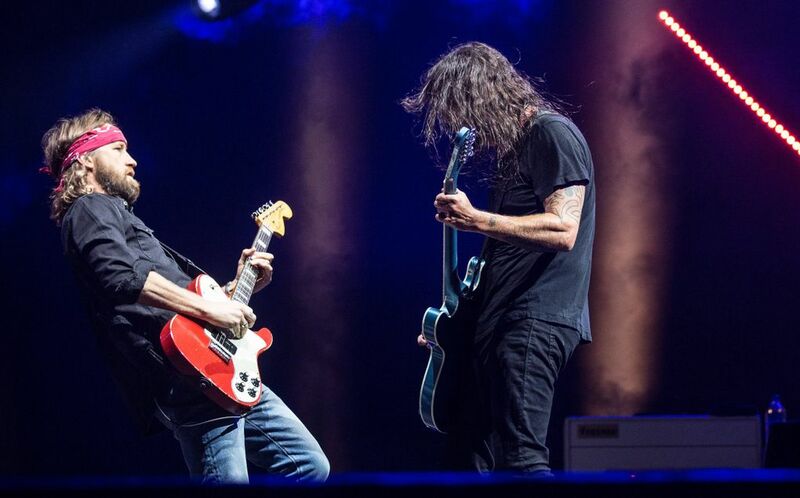 It was an impossible-to-top moment, even as Foo Fighters burned through two hours and 40 minutes of adrenaline-fueled rock ‘n’ roll revelry. After Giants in the Trees kicked things off with Novoselic switching between bass and accordion, Welsh power trio The Joy Formidable thundered through a massive set of emotive synth-laced alt-rock anthems with hints of shoegaze. 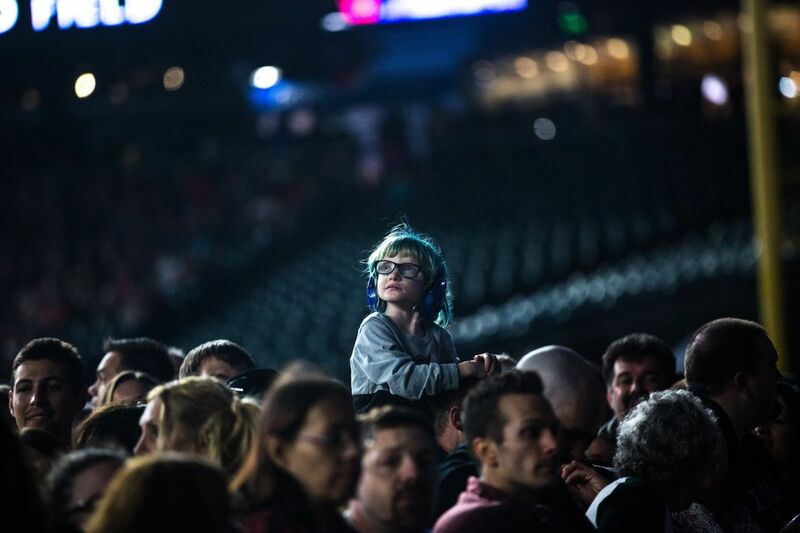 The club vets, who return for an Oct. 28 Neumos gig, had no trouble on the bigger stage, filling the ballpark with their stormy crescendos and brawny melodies. 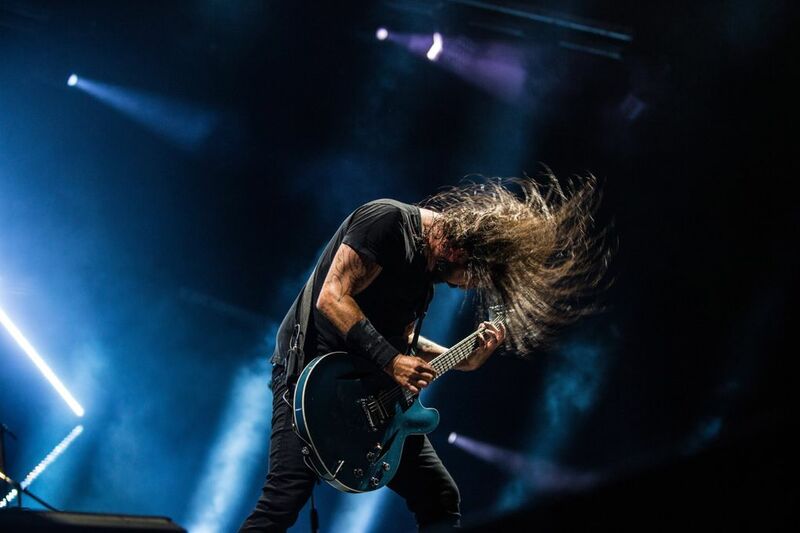 Grohl and Co. started off with a bang, launching into a three-song sprint of Foo favorites “All My Life,” “Learn to Fly” and “The Pretender.” Over the band’s 20-plus-year history, Foo Fighters have become one of hard rock’s most reliable hitmakers, building a catalog of primal yet catchy fist-pumpers. The sextet kept teeing up their rock radio smashes, knocking them out of the park, often with extended meaty, Southern-fried breakdowns led by guitarist Chris Shiflett’s bluesy licks. 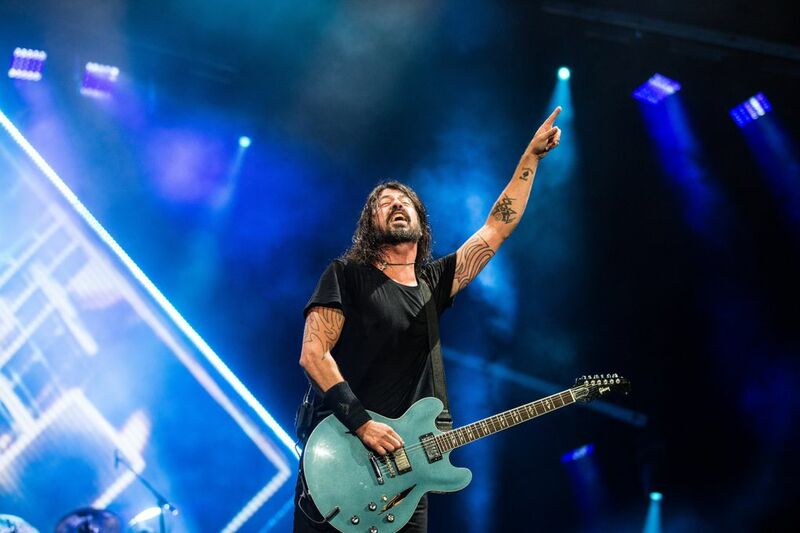 The band’s latest album, “Concrete and Gold,” finds the Foos further embracing their classic rock influences, and last night Grohl played rock ‘n’ roll minister, spreading his gospel with an almost Southern Baptist fire. 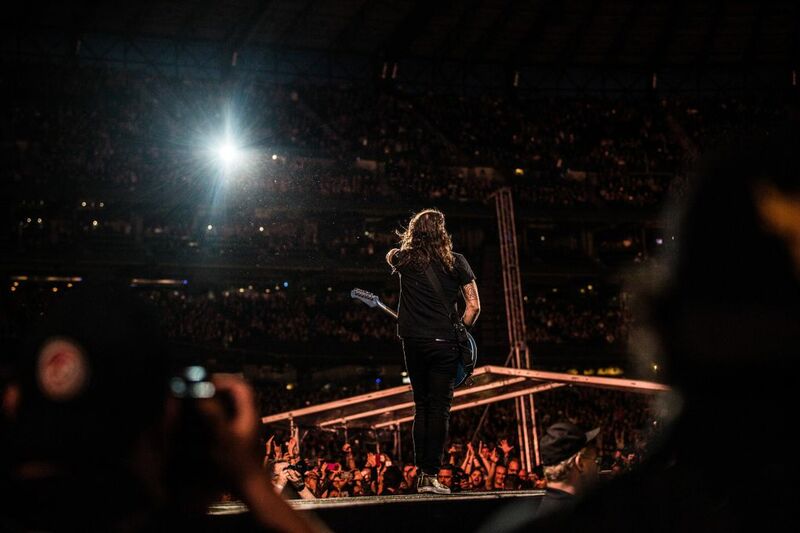 Grohl, who earlier this year released a short film espousing his Seattle love, was also eager to show his gratitude to Foo Fighters’ birth city. 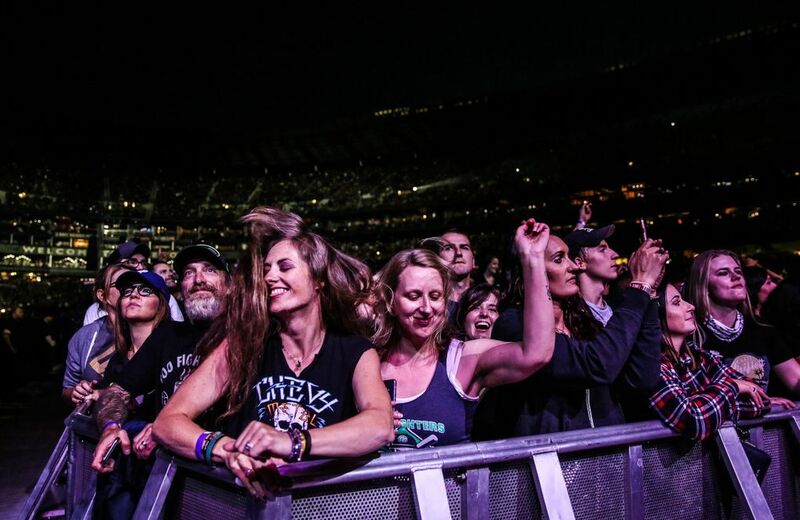 Introducing “My Hero,” he fondly recalled writing the modern-rock classic in his Richmond Beach laundry room, opening the song solo on a long catwalk as fans joined him on the first chorus. 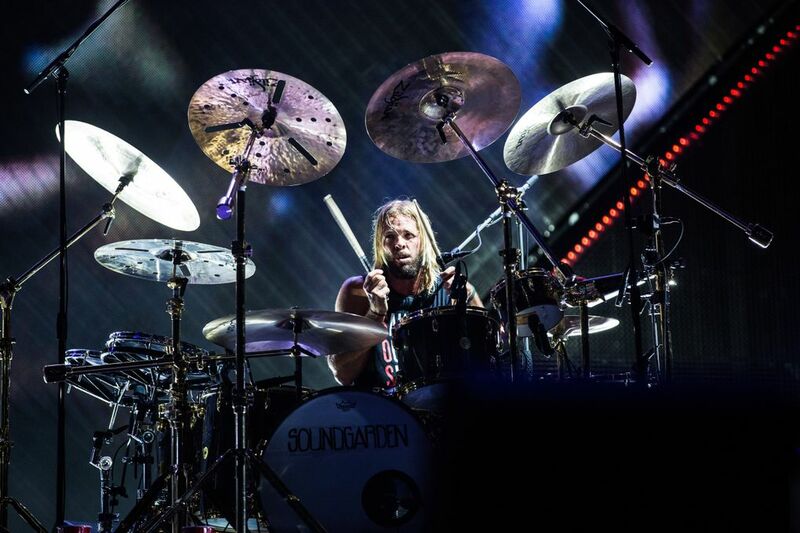 “Didn’t (expletive) sound like that in my laundry room,” he joked before the band pounded in with one of Taylor Hawkins’ thundering drum rolls. Hawkins, sporting a “Save Our Showbox” T-shirt and Soundgarden written on his bass drum, later traded places with Grohl, handling vocals to a playful cover of Queen’s “Under Pressure” as Grohl manned the kit. 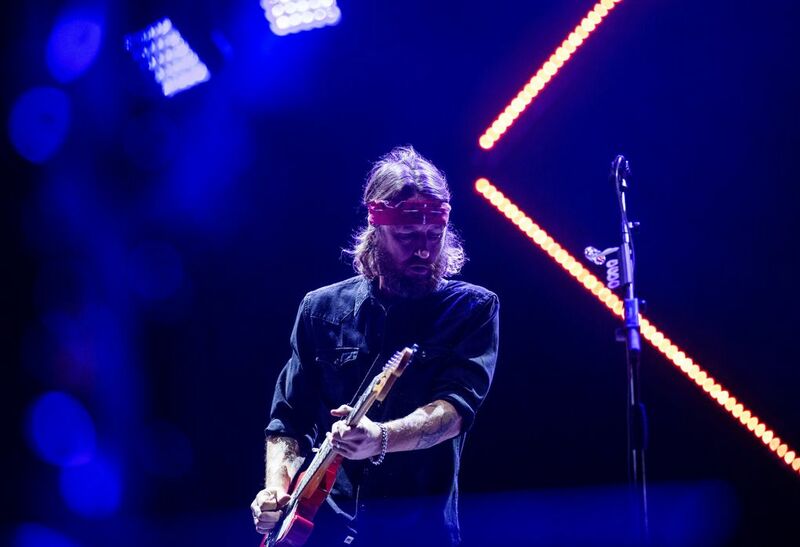 It was the most fun of the band’s several indulgences that briefly made the middle of the set drag a bit. But the time they tore through “Monkey Wrench” and a scorching “Run” — the ripper of a lead single off “Concrete and Gold” — the fat had been trimmed.